It’s official: Singer Stevie Nicks has the flu, so Fleetwood Mac is postponing the final North American dates of its current tour. The iconic rock group has axed the final four scheduled dates of this leg of the tour, after cancelling shows in Boston and Philadelphia last week citing the illness of an unnamed band member. The chopping block includes Monday night’s concert in Toronto, along with the forthcoming shows in Winnipeg (Thursday), Edmonton (Saturday) and Calgary (next Monday). The two Alberta concerts were already makeup dates, rescheduled from last November when the band cancelled its Edmonton gig with less than two hours’ notice. At that time, promoters also cited illness of an unnamed band member. The group has also withdrawn its appearance as the main stage closing act at the New Orleans Jazz & Heritage Festival on May 2. 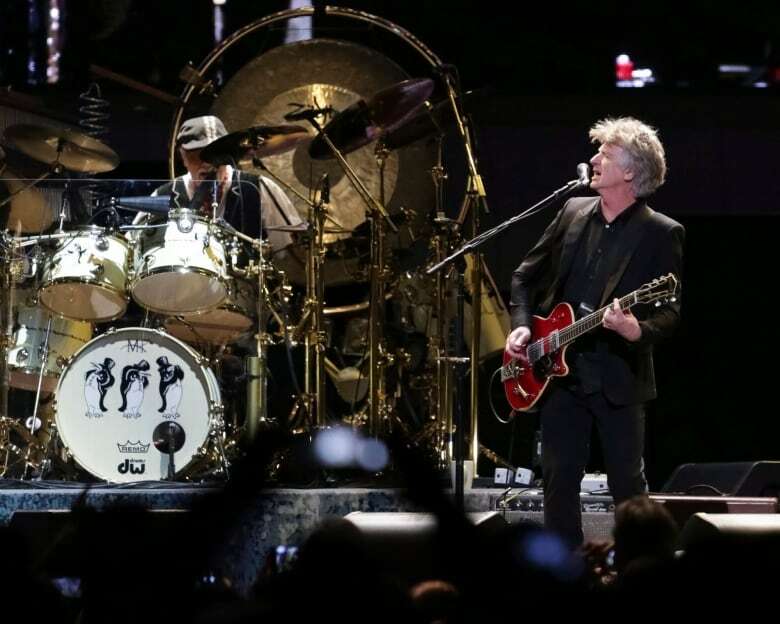 The veteran rockers were announced just last week as the replacement for the Rolling Stones, who postponed their upcoming tour as frontman Mick Jagger recovers from heart surgery. 2/3 While she is feeling better already, management has consulted with her doctors and have decided to reschedule the remaining four shows of their North American tour to allow for her full recovery. “We are having more fun than ever on this current tour, but as we all know, touring life comes with its challenges. The flu has sidelined Stevie for a couple of weeks, but she is on the mend and we look forward to getting back out on the road,” Mick Fleetwood said in a statement. Nicks was inducted into the Rock and Roll Hall of Fame as a solo artist in late March. She was previously inducted in 1998 as a member of Fleetwood Mac. The band’s statement noted October or November 2019 as potential dates for rescheduling the six cancelled North American concerts. New dates and details are forthcoming. Refunds are also available at point of purchase. Fleetwood Mac is slated to kick off a slate of European concerts in June before moving to a host of Australian dates in August and September.